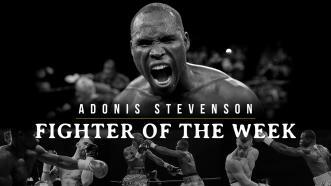 Light Heavyweight World Champion Adonis Stevenson returns to the ring on Dec. 1 when he makes the 10th defense of his WBC 175-pound title vs undefeated mandatory challenger Oleksandr Gvozdyk at Videotron Centre in Quebec City, Canada. Watch Stevenson vs Gvozdyk live on Showtime at 6:45 p.m. ET/3:45 p.m. PT prior to the blockbuster Wilder vs Fury card airing later that night on Showtime PPV. 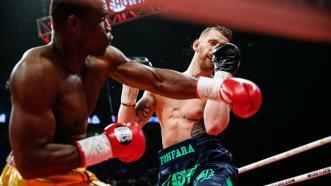 Adonis Stevenson earned a second-round TKO in a title rematch with Andrzej Fonfara to retain his 175-pound world championship. Adonis Stevenson retains WBC Light Heavyweight World Championship after battling Badou Jack to majority draw in a highly competitive bout Saturday May 19, 2018 on Showtime. 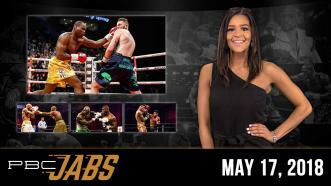 This week on PBC Jabs, we recap the May 11th PBC on Bounce show, we preview our May 19th Showtime events and light heavyweight champ Adonis Stevenson checks in! 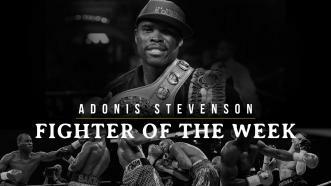 Fighter of the Week: Light Heavyweight World Champion Adonis Stevenson defends his WBC belt TONIGHT against former two-division titleholder Badou Jack. WATCH the bout LIVE on SHOWTIME at 10 pm ET/PT. WBC featherweight champion Gary Russell Jr. defends his title against No. 1-ranked challenger Joseph Diaz Jr. in his home state. 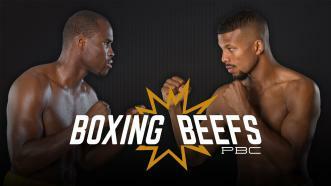 Then, WBC 175-pound World Champion Adonis Stevenson battles two-division titleholder Badou Jack in Toronto. 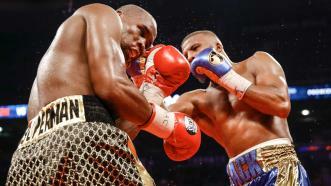 It didn't take long for Adonis Stevenson and Badou Jack to begin trading blows over Twitter following the recent announcement of their upcoming May 19th fight on Showtime.